Fill out the form here. You’ll only pass the verification if you answer yes to one of the questions on which account you hold with Nationwide. You’ll be sent your unique referral link, which you can then share with friends. At this point your friend will have to apply for the Nationwide FlexAccount, FlexPlus or FlexDirect current account within 90 days of your recommendation. They’ll also have to transfer two Direct Debits as part of the switch. You should receive your payment within 10-14 days as long as their switch was successful. Get hold of your friend’s unique referral link and follow this to begin setting up your account. You’ll need to switch your main current account to a Nationwide FlexAccount, FlexPlus or FlexDirect current account. You’ll also have to transfer across at least two Direct Debits. As long as you’re accepted for the account and follow the steps above you’ll receive your payment in 10-14 days. Existing Nationwide account holder? Refer up to 5 new friends each year, and if they switch their main current account to a Nationwide Nationwide FlexAccount, FlexDirect or a FlexPlus account you’ll both get £100 as a reward. I have free referral links available for anyone interested, email me at dp1@use.startmail.com (links have to be unique). I will respond quickly. 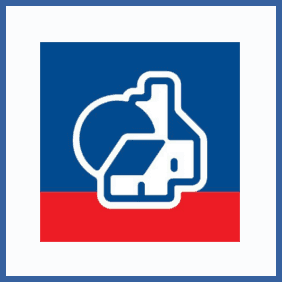 (I’d recommend Nationwide anyway as they’re a building society rather than a bank). I can theoretically request unlimited links, I just won’t be paid for any additional ones after 5 (but you still would be), so anyone looking to switch to Nationwide email me for a quick response and I guarantee you will receive a link! – The switch must close the old account. – A minimum of two existing Direct Debits on the old account must be transferred as part of the switch. Other types of automated payments, such as Standing Orders and recurring card payments, will not count towards this. You may also be interested in the Flex Direct current account when applying which gives 5% interest for up to £2,500 balance in the account. This is subjected to a minimum of £1,000 per month paid into the currently account. Definite recommended. A big plus is once you join, you can recommend to your friends and families to join too and share more rewards among yourselves. Give me a message and I am more than happy to provide a recommendation and answer any questions. A couple of months ago I used a referral link from here and opened up and switched to a Nationwide Flex Account. The whole process was very easy and quick. Thank you in advance if you email me for a link. We both get £100 pounds. I’ve started a new year with Nationwide and have 5 referral codes to give out, I don’t need any personal information from you apart from an email address. All above rules are still valid, you need to switch from an non-nationwide current account and close that account as part of the switch process. We’ll each get £100 once your switch to Nationwide is complete. Hi if you need a referral code to switch to Nationwide please email me at…. Hi! I’m Szymon. 🙂 Message me hi@supereasymoney.co.uk or visit my blog http://www.supereasymoney.co.uk and fill the contact form so I can recommend you and we will be both rewarded with 100 pounds! We’ll each get £100 once your switch to Nationwide is complete, assuming you meet the criteria mentioned above. Email me jayhayers@live.co.uk for a quick referral for your switch! To those who need a referral code, just email me at nationwidereferral@gmail.com and I’ll send you one immediately.